The sun has set on Round II of SDCC hotel assignments. By now you know if you got a hotel or not. For some of you, who were pragmatic about getting picked late in the game, that's not a surprise. For others - especially those of you who thought you got picked relatively fast - today's inbox emptiness was gutting. The preponderance of king bed/single rooms seems stark. 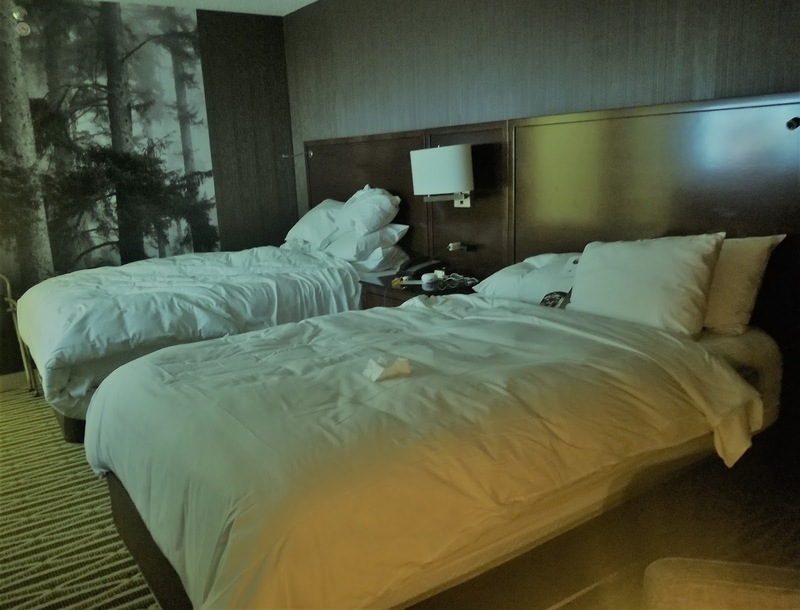 I hardly know anyone who got a downtown room with 2 beds. I'm guessing that just as studios and other VIPS get first access to downtown hotels, they may be booking up most of the suites and bigger rooms. It's also possible hotels are simply offering more single rooms because it's more profitable - same/close room rate for more rooms in the same physical space. This in turn uses up more rooms among the attendee population. For instance, if a group of 6 friends was planning on cramming into a quad, they probably can't fit into a single room and will need to therefore rent two rooms. More expensive for everyone and now two rooms instead of one are gone. Did anyone get the Pendry?? I've heard of literally every downtown hotel being booked but this one. If it was already booked up by VIPS, it had no business being on our list and using up our selection spots. Not that selections seemed to matter much. I and many others wound up at random hotels. (I got into the form very quickly and today was assigned a single room at the Sofia.) I feel like bothering to even select hotel preferences is relevant for 2% of attendees and everyone else is just put wherever they fit. Timestamps were a tight cut this year. I know of people who swear they accessed the form between 9:00-9:01 and still didn't get a downtown hotel. So what if you didn't get a room? Obviously the waitlist could save you, but you should start hunting now for a backup plan. See who needs roommates and look outside the CCI system. You can always trim a night off either end of your trip, spend those nights at a more distant hotel, camp outside or see who will tolerate you crashing on their floor for just one night. Study your transportation options. And finally, be honest about your Con style. If you're falling in and out of Gaslamp bars every night, I can see why you want to stay downtown. But if you're more likely to stay in a few nights or you like leaving behind the Con behind, having a non-downtown hotel isn't that bad. The shuttles are reliable and there are usually Lyfts that go back and forth regularly as well. Remember you're only putting down a two-night deposit. If you really hate the idea of your non-downtown hotel, you can always grit your teeth for those 2 nights and hunt for a downtown room on the other nights. I know today is a tough day. I hope you all find some type of accommodations you can live with over the coming weeks. Why can't they do it like New Yirk? You buy your badge, you book your room. Boom. Done. Badge holders only. You'd have to ask CCI. Obviously they have to meet the needs of studios, professionals, vendors, etc. first. And I know some people think that letting non-badge-holders get rooms encourages more San Diego revenue since those people are going to spend around town and not in the convention center. But we do have Early Bird. The reality is there just aren't enough downtown rooms for everyone and letting us book right after the badge sale wouldn't solve that dilemma. It might weed out some randos but you'd still have angry attendees winding up at an airport hotel. Don't get me wrong, I wish they would do it in one swoop but I'm not expecting to see it anytime soon.